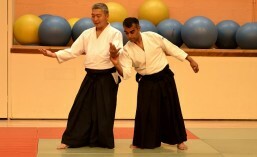 Why Aikido is good for children. Doshu Yoshigasaki has written a book how you can use meditation to understand yourself and the world. Written in a conversational question and answer manner, the book guides the reader through many of the key concepts in this journey. Alternatively you can buy a copy at one of our the London dojo. If you would like more information please fill in the contact form below.